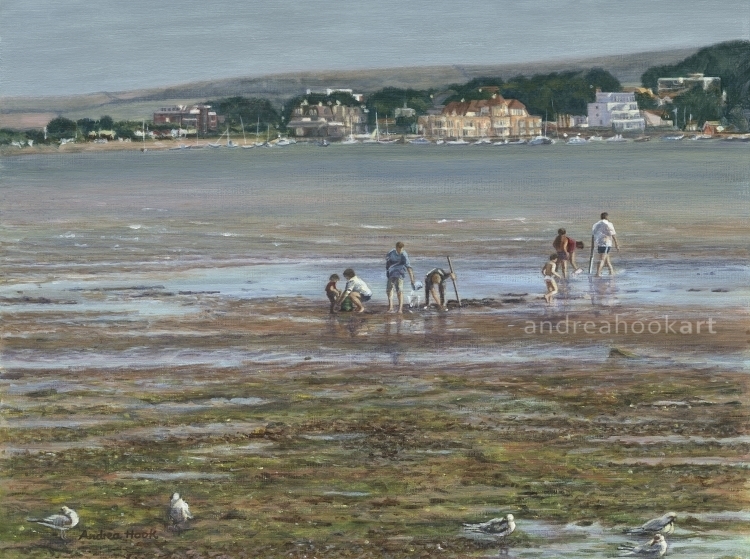 andrea hook art: The Cocklers - Sandbanks, Poole, Dorset. Awarded Heatley Rose Bowl for 'Best Figures in the Landscape' at Broadstone Art Society, plus 'Visitor Vote' winner. Published in Leisure Painter magazine.